We think we're really good at what we do. But, read what our patients have to say! I can’t say enough good things about this office and their staff. 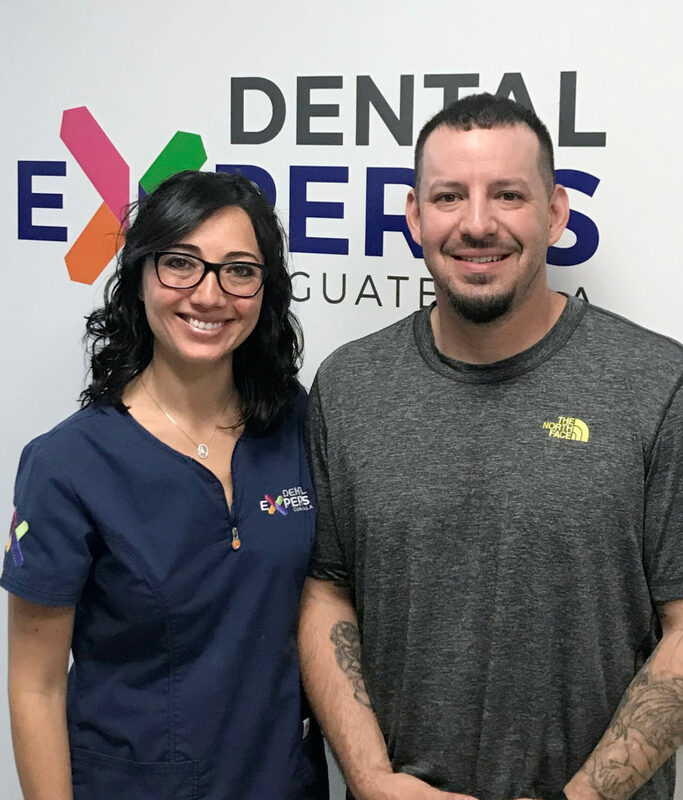 As an American visiting the country trying to take advantage of the experts at Dental Experts Guatemala…I can’t say enough good things about this office and their staff. The office is situated in a beautiful and modern office building with a spectacular view of the city while you are having work done. It is modern, clean, and everyone is incredibly friendly. I walked into the office, skipped the typical waiting area and was seated in a back room with a big comfortable couch before my exam/cleaning. The exam/cleaning itself was professionally done, and I would say without hesitation that this office would give most dental offices in the U.S. a run for their money based on the quality of work, staff professionalism, and cost. At this point my intentions are to seriously consider traveling to Guatemala for any major dental work, costs of flight and lodging would still be more economical than paying outrageous U.S. costs. Recommend to everyone!!! Interesting dentist visit in Guatemala City. The practice has one of the nicest, most advanced offices I’ve been to anywhere. I have been impressed with customer service that feels more like VIP treatment. From pickup at hotel to answering questions and concerns, to pain management – these people really care. Why do I share? Because I know many people who need dental work, but are put off by spending thousands and thousands of dollars. A crown here costs about $350 vs. $1500 or more at home. Implants appear to be 75% to 80% less. The implant product is the same I’ve seen at home. 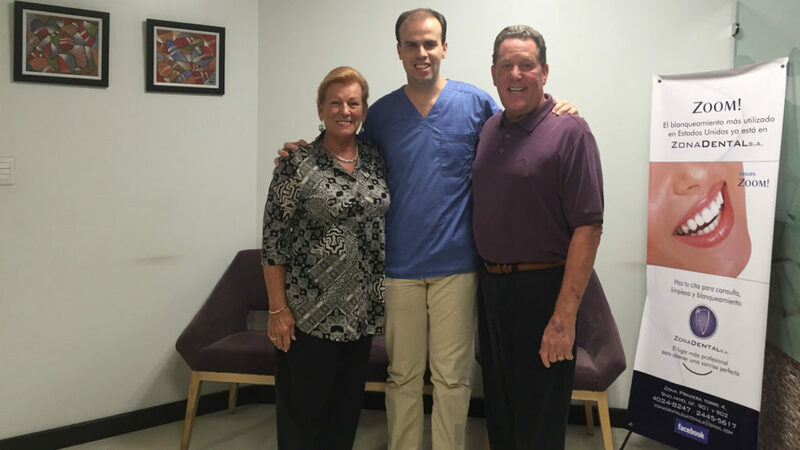 I recently had the pleasure of having Dr. Antillon and his staff perform several implants and extensive dentist work. I was extremely satisfied. Dr Antillon and his staff did a great job making the experience and procedures as quick and painless as possible. The service as well was second to none. Being from New York they made sure to make my visits as comfortable as possible as well. I would highly recommend them to anyone and everyone. 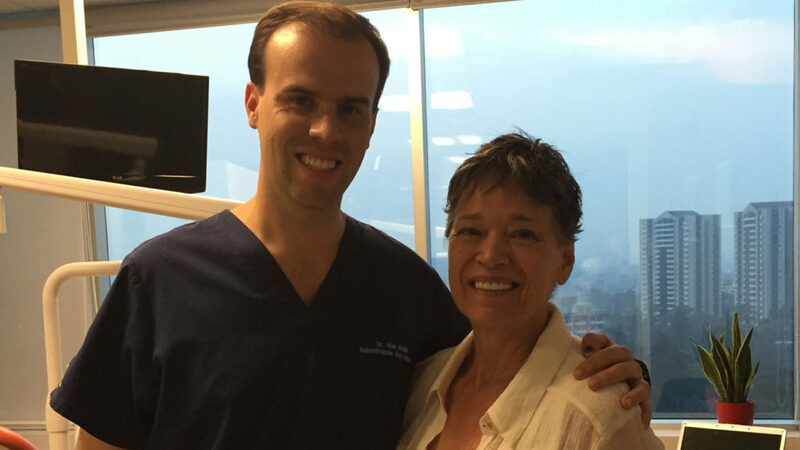 Our experience at Dental Experts Guatemala could not have been better. From our first email contact with Dr. Alan he was always quick to respond and willing to answer any and all of our questions related to our possible treatment needs. His expertise and honesty were fundamental as we were choosing which dental provider to go with. Even though we ended up not needing, he offered to help us find a place to stay in Guatemala City as well as pick us up at the airport. He was always checking in on us through WhatsApp to make sure all was going well and we were also getting some tourism in between our scheduled appointments. He would pick us up at the hotel for our appointments and then promptly bring us back after the services were rendered. He had previously blocked those office hours for us and was working around our needs, not his usual schedule. My husband and I had a very large amount of dental work done and all in just 6 days! Incredible time management! The cost for services came out to 1/3 of what it would cost us in the U.S. and the personalized service is priceless. You are treated as a person, not a body on a chair. Incredible! I can’t even begin to talk about all this amazing team – Top notch professionals!!! This was the first time I felt absolutely no pain during a root canal. They’re absolutely amazing! Everyone is very friendly and language is definitely not an issue. At least someone in the office can speak English, German, Portuguese, or Spanish. From now on, they are our family dentists. Guatemala is beautiful and safer than most people think. Definitely an added vacation bonus to a dental trip. Who can beat that? I just received an implant from Dr. Alan Antillon, and I warmly recommend him. He is very professional in all ways, expertise, as well as bedside manners. The doctor’s work was skillful and fast. I had no pain, and seeing the work done on the computer monitor was a bonus that I appreciate. I felt well taken care of, including the help with transportation to and from the dental office. 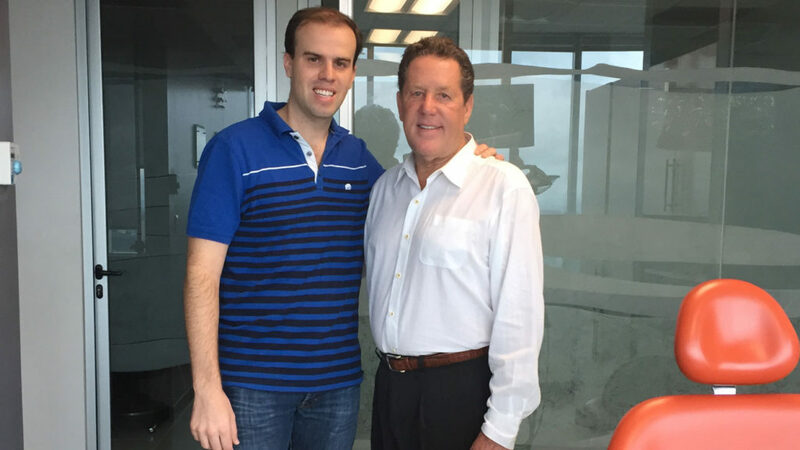 My experience was in every way great and I would definitely go back to visit Dr Alan Antillon. He will be very upfront about your billing and recommend that you spend your money on the best required treatment. He has a lot of precious information on the city and arranged for pick ups at the airport as well as lodging. I paid very little for an onlay, root planing, scaling and teeth cleaning – 70% less than the USA! I came down with my wife who was having major work done as she had many dental problems. My lower teeth were fairly stable but most upper molars had been pulled with failed root canals etc. I had a denture made but found it uncomfortable but my biggest complaint was food tasted terrible affected by the metal bridge over the roof of my mouth. After assessing my situation, Dr. Antillon was able to fit me in to his schedule and start treatment right away. I required sinus lifts on both sides as well as bone grafts. Also the roots of two teeth were left in after extractions in Canada which required surgical extraction. Dr. Antillon works with a periodontist and an anesthesiologist in spotlessly clean, state-of-the-art clinic. He was able to perform most of the work and set 3 posts for future implants. One side required extensive bone grafts so he will wait till we return in November to set the posts on that side. The work was quick, relatively painless and very high quality at a fraction of the cost in Canada. I can’t wait to return for my implants, but in the meantime he provided a temporary bridge on one side so I can eat comfortably till the permanent implants are installed. The doctor met us at the airport and arranged transport to and from the clinic at no charge and put us in touch with an excellent driver/guide for some sightseeing as well as a trip to Antigua. I can honestly say it’s the only time I’ve enjoyed and looked forward to a trip to the dentist! The whole experience was very professional and extremely well priced. 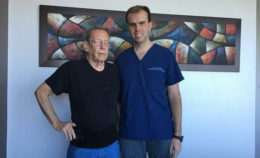 What I liked most of all is that Dr. Antillon didn’t just prescribe a course of treatment but evolved his approach as treatment progressed to find the best solutions. Many times we started our day with him saying “I’ve been thinking about your situation and…” This flexibility and ongoing assessment was very reassuring to me and the fact that he seems always on the job 7 days a week communicating regularly with us. A fantastic professional experience at a very reasonable price. And we loved the country and the people. I went to see Dr Alan and knew that I needed extensive work. 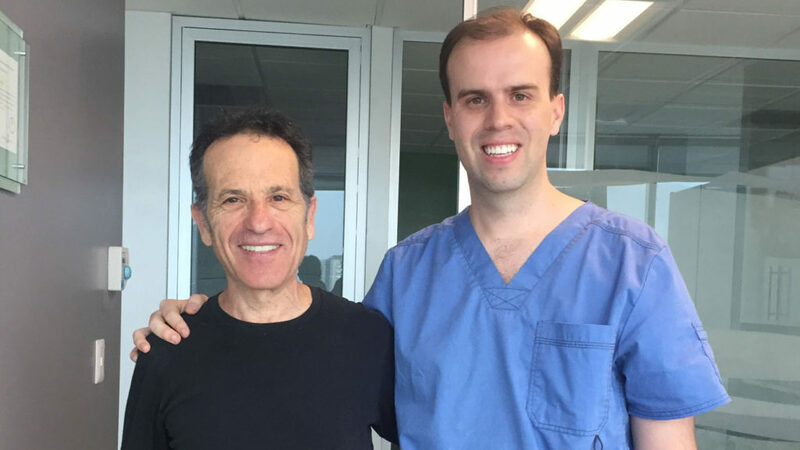 He was incredible…I had a sinus lift, bone grafting, 2 root canals and 2 implants – all in one sitting. I opted to have the conscious sedaton and it was awesome. The clinic looks new and the knowledgeable staff were amazing. Highly recommend this clinic with no problems. The clinic is VERY modern and super clean! Better than most clinics that I have been in in the US! I have not been to a more professional setting stateside. A top-notch, English-speaking specialist was used for each specific procedure. Having the lead Dentist provide personal transportation from my AirBnB and subsequent hotel was almost embarrassing knowing how valuable time is to a person running this large of an enterprise. It speaks to the sincere commitment to top quality service. Sitting in one of the dental chairs in a brightly lit room on the ninth floor of a modern office building looking through a full wall 10 foot high window over Guatemala City was immediately relaxing. I used local anesthetic and more was provided when there were extraction complications, which I knew were coming because of my long history of lousy dental luck. Thankfully these fixed price specialists took their time and did not leave anything behind as has happened twice before stateside. 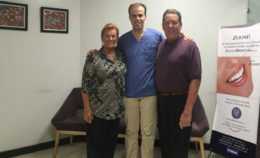 I could not be more happy with my decision to choose Dr. Antillon and Dental Experts Guatemala. I chose Dental Experts Guatemala because they had great reviews online. I live in the States but decided to try Guatemala for my implant as I have family there; and I was getting frustrated with my experiences and conflicting advice I was given with local dentists and a periodontist. I could not have asked for a better experience. The surgery went great, I had almost no pain after the surgery or the days following. Dr. Antillon also bonded my original tooth in place rather than having to have a “flipper” or another fake tooth until I have the crown placed, so I don’t look any different and don’t have to deal with the irritation of a removable device. I really appreciated being able to take care of everything in one office. Dr. Antillon assembled a team to take care of everything. He and Dr. Galindo did the surgery and he had an anesthesiologist come in. I did not have to go to an oral surgeon or periodontist separately. As far as a medical experience goes, it was as good as it gets! But what truly impressed me, was the care I received from Dr. Antillon. From the time I contacted Dental Experts Guatemala I was made to feel very secure and cared for. I received an email response almost immediately, followed up by a phone call. Apart from discussing the surgery, Dr. Antillon checked in several times before my trip to see if I had questions and to see if I needed help with travel plans. I was picked up at the airport and for every appointment. Dr. Antillon was happy to discuss and explain the details of my treatment and my options. I was even given a smoothie right after the surgery. 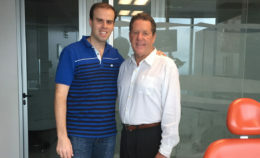 I found Dental Experts Guatemala after being in Antigua for two months and researching numerous dentists. Dr. Alan Antillon is the best dentist that ever worked with me. It’s the first time I had no pain during and after a root canal. It’s the first time I did the conscious sedation and I felt nothing. I really don’t like being put under so this new procedure worked out great. He also replaced all my old crowns and removed all the metal fillings. I also had a chipped tooth and he fixed that without replacing the entire tooth. And being from Florida I paid a fraction of the cost! It’s without a doubt, worth the trip here. I really needed a dentist that I could trust. I was so satisfied with the results of my dental work, I won’t go to any other dentist. The office was really professional and clean. The TV’s and the technology that you see inside the dentist chair was out of this world. Dr. Alan and the rest of staff there are so friendly and caring about your well-being. I showed Dr. Alan a picture of my daughter who wanted veneers and he told me she was too young (18) and basic braces would help her. She’s getting her work done in a few days and you can read her review then. He also could have just replaced my chipped tooth as I stated above but didn’t. It shows how honest he his and I appreciate that more than anything. I had been self conscious about my smile for years. My teeth were badly worn and yellowed. Yellowed even after trying a whitening procedure and various over the counter products. 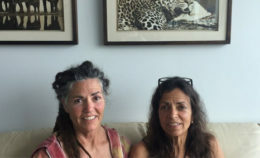 I researched many clinics and scheduled a consult with Dental Experts Guatemala. There I met Dr Alan Antillon. After he explained everything involved and answered all my questions we set a date to begin. The first appointment was to prepare my and four or five days later, I got the veneers, at a fraction of the cost in US clinics. They changed my look and self image that day. I like to smile now. A bright clean and modern office with an excellent Dentist, Dr Antillon, and very professional, courteous staff. I actually felt relaxed…in a dentist’s office! Thank you Dr Antillon and staff. 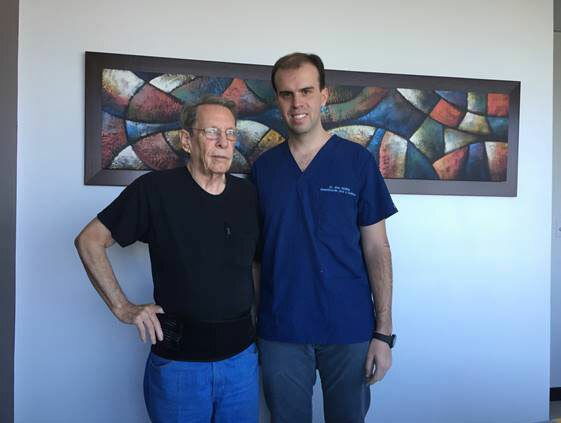 During my three week stay in Guatemala I was recommended to Dr. Allan Antillon by my mother and bother who previously received intense treatment. I received 3 root canals, sinus lift, and 3 implants. As soon as I walked into the office I was already impressed by the cleanliness and politeness from the receptionist at the front desk. Dr. Antillon and his staff are very professional and informative. They made me feel comfortable about my procedure. I am also extremely satisfied with the end result and would recommend this clinic a million times! Feels great to be able to smile again! I went to Dental Experts Guatemala to get 2 wisdom teeth removed which were causing me a lot of pain. I emailed an inquiry and got a response within an hour, even though it was on a Sunday afternoon. After receiving one of the best prices I’ve encountered in the entire country, I was booked for an appointment the following day. The treatment was quick, thorough and professional and I was extremely happy with the friendliness and capability of the staff. The clinic itself is in one of the nicest and most modern buildings in Guatemala City. I was warmly welcomed and attended to right away. 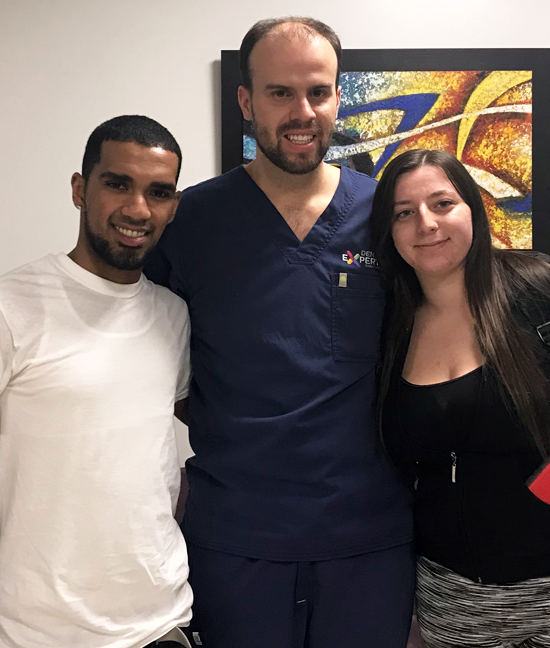 Dr. Alan and his staff are all incredibly warm, personable and professional; and it was clear that they would go out of their way to make your experience the best one possible. 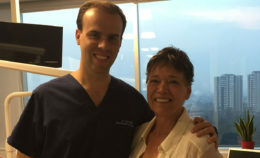 “My husband, Tom and I traveled from Florida to Guatemala City to have extensive dental work and repair done. 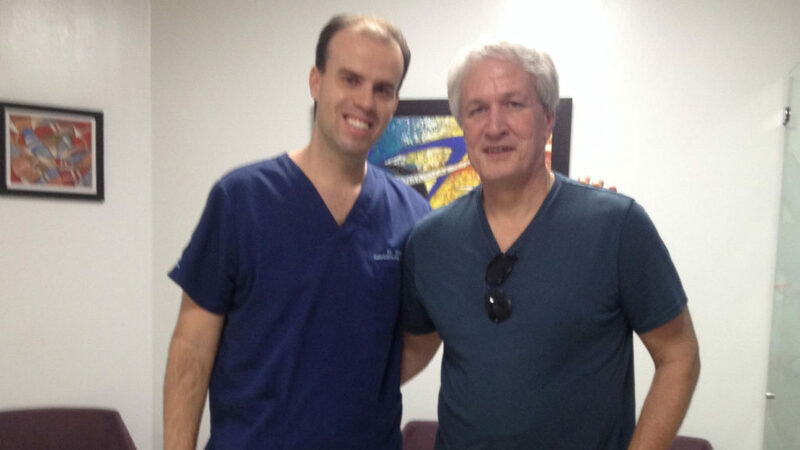 Dr. Alan Antillion came highly recommended to us by our friends from the USA who had recently had work done by him. Tom had an extraction, 3 implants, a bridge, old fillings replaced, veneers and caps. The cost was unbelievable based on what it would have cost in the US. We were very pleased with the value. 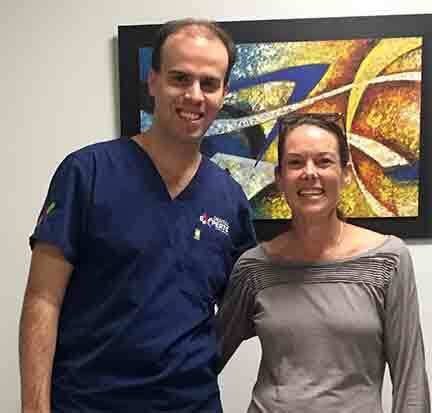 “I needed a crown and decided to try to do,it in Guatemala since I would be there anyway- I found Dr Alan on the internet and he called me to discuss the procedure. He was able to do the work in a single day which I appreciated. “I will say Dr Antillon gives excellent service to the point of going out of his way even when he doesn’t have to. You wont get better service at any price. As to the dental work my implants won’t be finished for 5 more months when the crowns are placed on. So it is a bit early for a review of the work. “Dr. 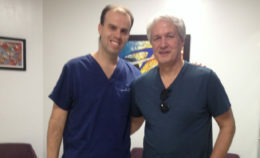 Alan Antillon was very helpful when I was in search of the best implant for me. I have received a valuable information, which I’ll definitely use after I strongly decide upon my surgery. Thank You. “Dr. Alan. When I smile, I think of him. My restorative dental experience could not have better. Implants, veneers, caps, and an extraction with an outcome that well exceeded my expectations at a third of the cost of local estimates. 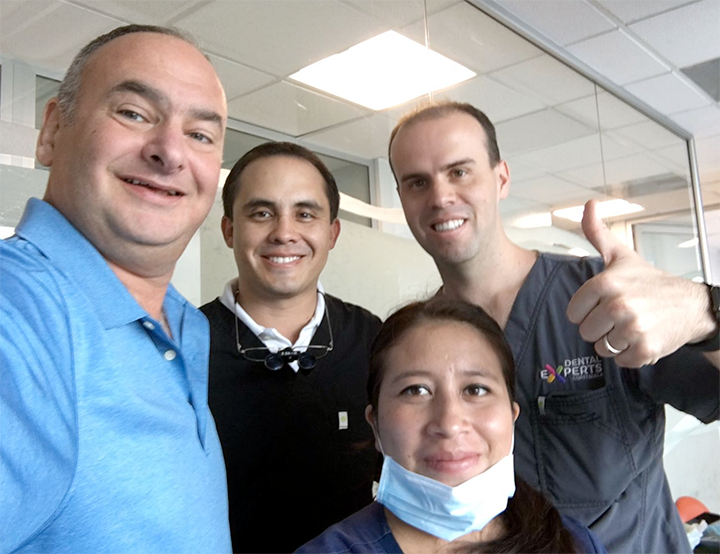 Dr Alan met us at the airport and retrieved us for every trip to his state of the art clinic in downtown Guatemala City. “Five years ago I was told by my US dentist that my wisdom teeth needed to come out. I agreed with him because I could see they weren’t healthy. He referred me to a few surgeons and I was quoted a ridiculous price. I put it off, knowing the consequences could be painful. A few months before departing on a Central American trip, I began researching possible locations to have them removed. I found several promising clinics on WhatClinic and communicated with them. Dental Experts Guatemala was the one that stuck out and I’m happy I chose their clinic. Dr. Antillón picked me up from my Hostel after dropping his daughter off at school and have me a ride back later. Everything went smoothly (as smoothly as ripping deeply rooted teeth out can go) and the teeth are out. Dr Antillón continues to check in with me and make sure all is well. I recommend their services to anyone. 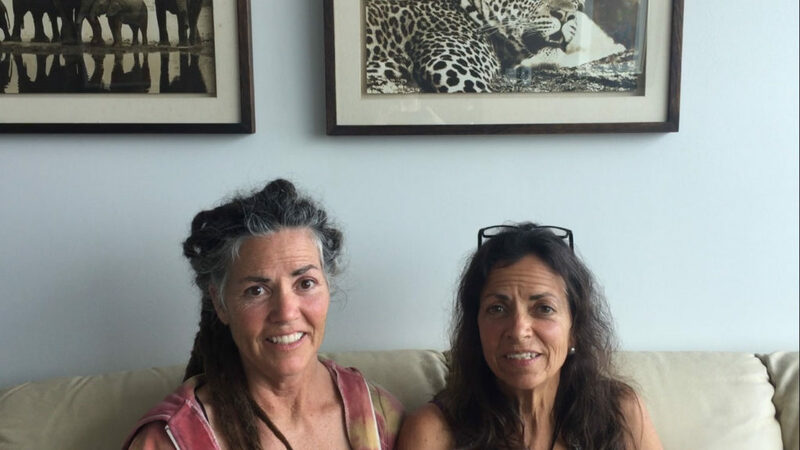 “Treatment far exceeded my expectations. Treatment done slowly, efficiently, successfully in a clean office. Planning to return for further treatment. 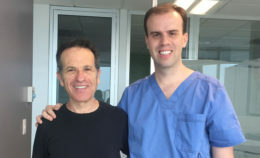 Would unconditional recommend working with Dr Alan Antillone. Dental space was very clean, treatment options very carefully written out and cost was very reasonable. “I was told I needed Bone grafting and deep cleaning in the US and the price was very expensive. I could not ever foresee being able to afford Implants, and dentures was looking like a future reality for me. After seeing Dr. Alan, he did x-rays and a thorough examination, telling me that the bone grafting was unnecessary and he could do the deep cleaning with the implants at a fraction of the cost the US dentist quoted. I have to return to finish the job, as there is some healing time involved, but I look forward to returning. I would definitely recommend him to everyone I know, and my sister and husband plan on coming with me for my return trip, and having dental work with Dr. Alan as well. “My bridge broke and was falling apart. I looked on the internet and took a chance with Dr. Alan. I am very satisfied. He picked me up personally at the airport and gave me a ride to my hotel. He picked me up at my hotel the following day and examined the bridge and condition of the teeth. It turned out I had too much decay and I needed an implant which I knew nothing about. All was clearly explained as to why I needed this work. It all made sense and the language was in English and I understood everything. Dental Experts Guatemala describes exactly what we are: a team of highly trained professionals specializing in several fields of dentistry. Dental Experts Guatemala guarantees to replace a titanium dental implant that fails to remain in the bone in which it is implanted. Despite what some people believe, cosmetic dentistry is not performed for vanity. Periodontics is the dental specialty in treating gums, inflammation, and dental restorations.